Is your own house making you feel tired/gloomy/depressed? It’s time to punch things up with these feel-good decorating tricks. 1. Repaint in high gloss. Aside from giving furnishings a new lease on life, repainting it in high gloss ensures it looks vivid, as well as reflects light, making whatever corner you place it in so much brighter. A glossy sky-blue headboard cheers up this masculine bedroom—even with the black wall right across it. 2. Add more colour—whether in small doses or in a cheery explosion. This neutral-hued space gets a jolt of colour from the vivid artwork over the console. Yellow is another colour that will literally brighten up your space. Use it sparingly as too much of it may negatively affect one’s mood. Here’s our story on using yellow accents to vivify your space. Why not go all out with a multi-hued palette? 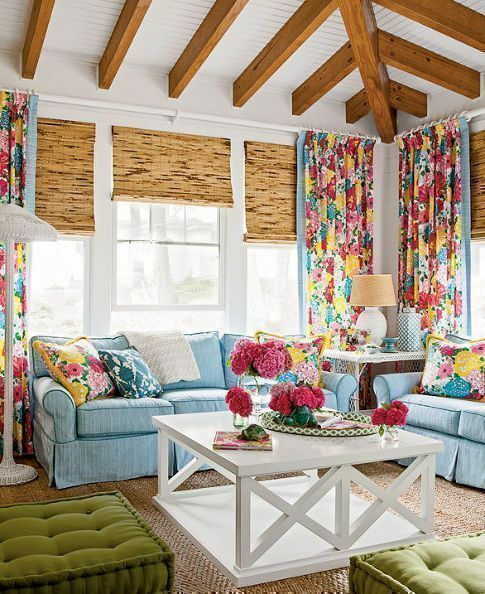 Add colour via upholstery, drapery, and flowers. 3. Let in more natural light. For rooms with small windows, it may be a good idea to do without drapery (or with sheer curtains, if you really want some privacy) to let as much sunlight in. If you’re fortunate enough to have a balcony in your home, throw open the doors as often as you can! Not only does that let in lots of light, but it also keeps your space aerated. 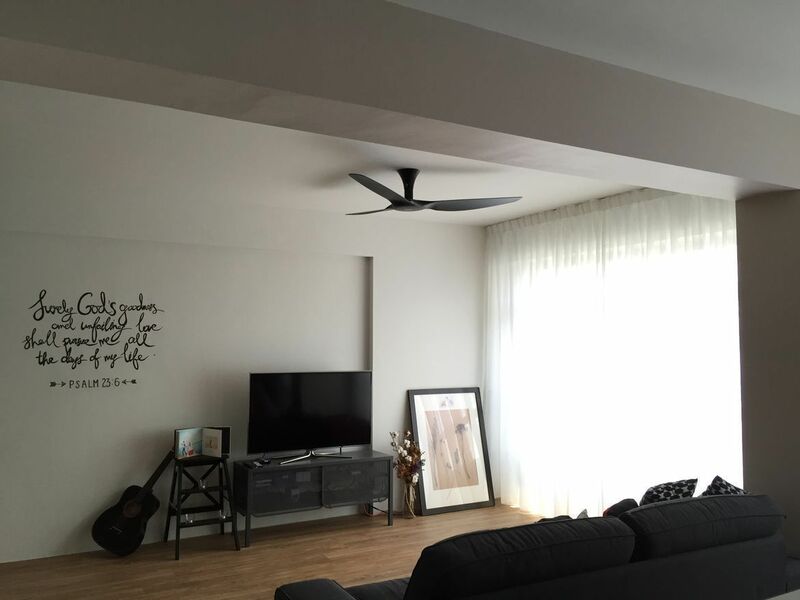 Get more tips on how to utilise natural light in your home here. 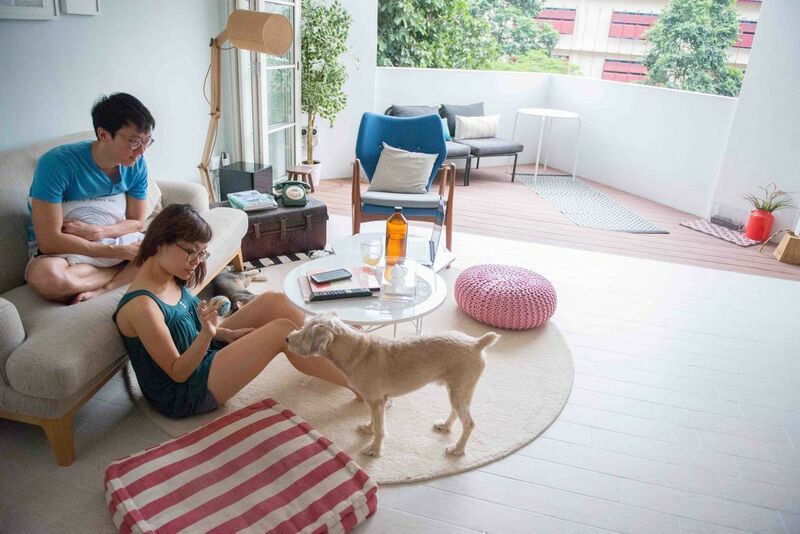 Minimalist living isn’t just a style; it also clears up sentimental clutter that often wreaks havoc on one’s moods and emotions. 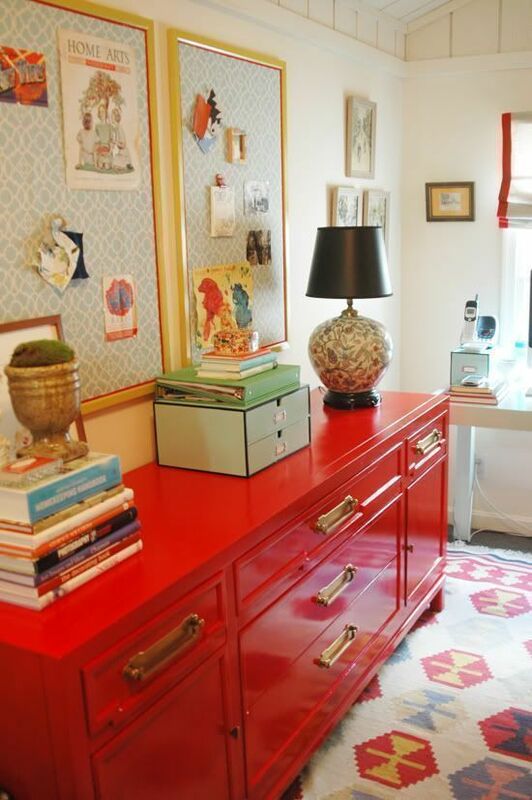 Read up on other nifty ways to get rid of chaos at home here. 5. Switch out heavy furniture with slimmer, more slender ones. The fully upholstered bed frame with headboard already occupies much of the space in this contemporary bedroom; metal mesh side tables and sleek pendant lamps keep the space from feeling too heavy. A show-stopping light fixture acts as the accent in this sparsely furnished study. The slim midcentury forms of the table, chair, and shelves help counter the lamp’s sinuous shape. 6. Add plants or flowers. Yellow tulips further cheer up various corners in this simple but fun-looking living room. 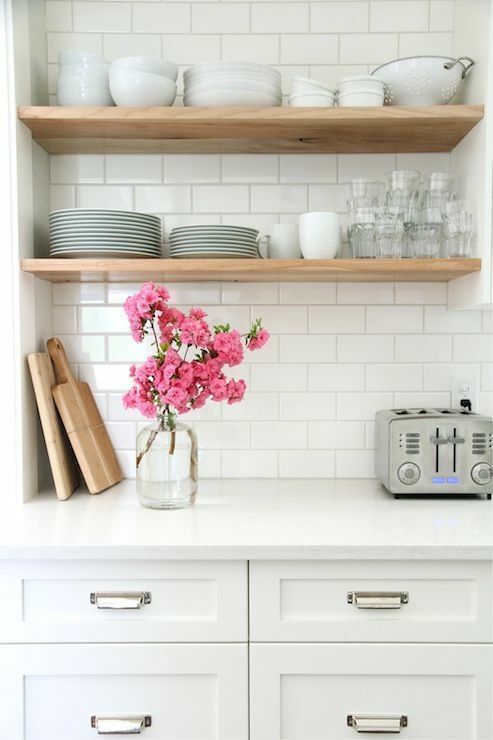 Bright pink flowers add vibrance to an otherwise staid white corner of the kitchen. If you can’t get them fresh, beautiful faux blooms that look just like the real thing will suffice (not to mention will last longer too). Plants also do the job of purifying the air inside our homes. 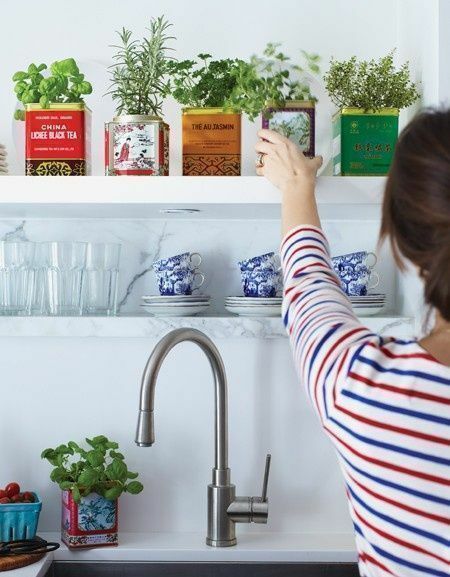 Herbs, on the other hand, subtly add delicious scents indoors. To find out which plants are perfect for your home, check out our list here. 7. Change small stuff like throw pillows, linen or fabrics, and tabletop accessories. 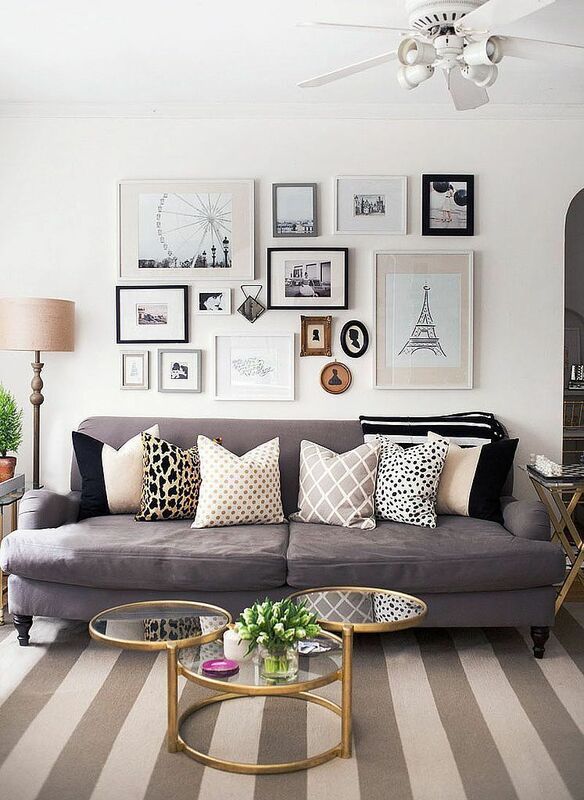 Go for texture and prints in creating a lively tableau right on the couch. Is your home making you happy? Tell us about it and share your photos with us! Email us at hello@cromly.com.